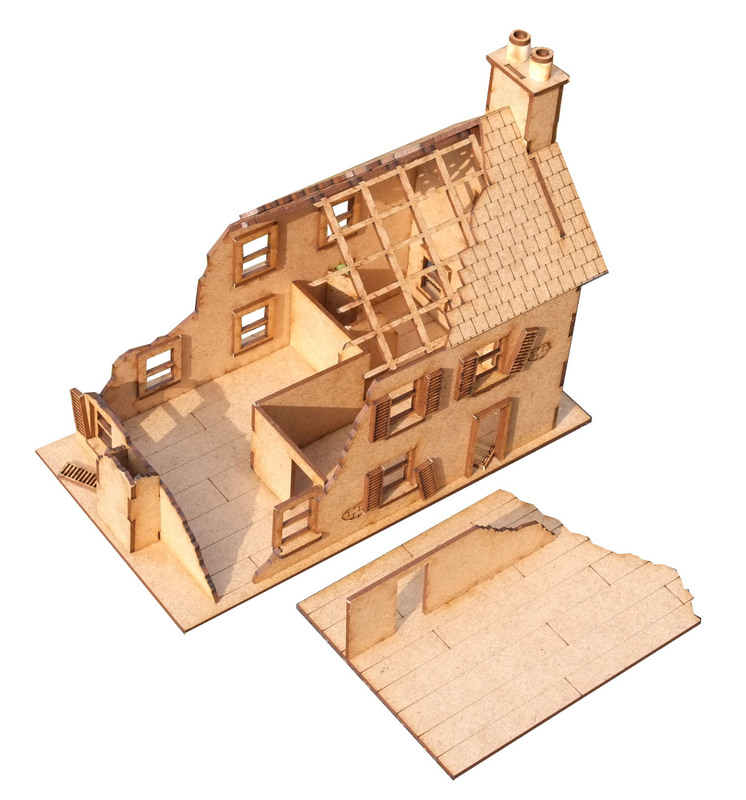 28mm Scale Normandy Farmhouse Ruin building ideal for Bolt Action and other WWII games or any system that could use a 19th C. or later house. The ruin measures 193mm x 104mm x 160mm high. This highly detailed model is a companion piece to our Normandy Farmhouse and can be used to swap out the model for the ruin if it gets destroyed during gaming. This model is precision laser cut for accurate assembly. Details include realistic window frames and sills, rafters, wooden doors with frames along with a removable roof and removable upper floor for maximum playability. The house has laser engraved detail such as exposed brickwork and bullet damage. The model also come with a debris pack of brickwork and rafters that can be added in and around the model to add even more detail. 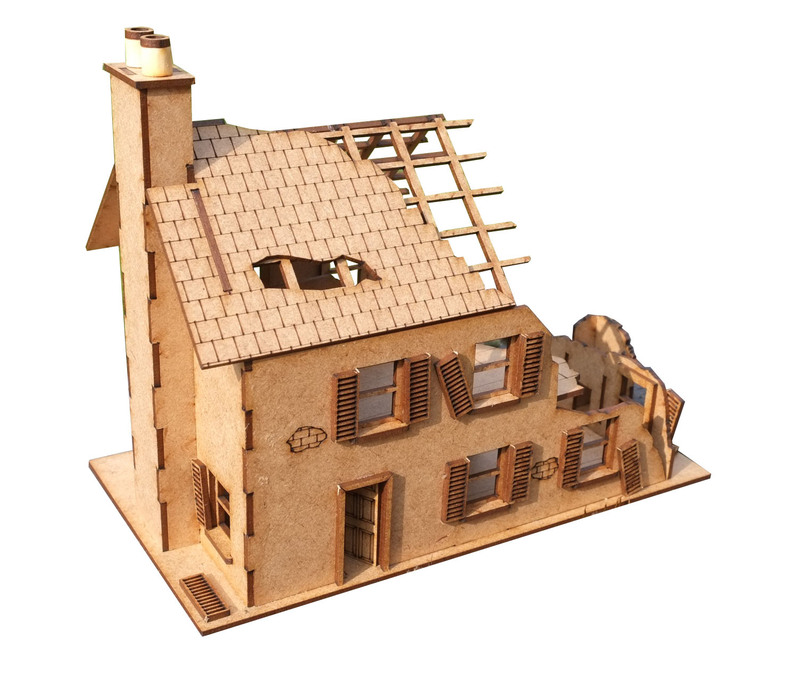 This kit is a companion to our Normandy Farmhouse and can be used to swap out one for the other. Thanks to Burkhard S for the amazing paint job! !